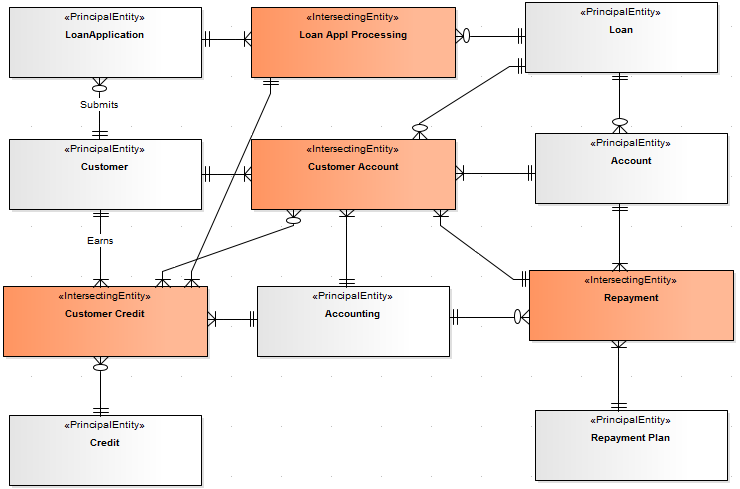 A valid Data Map diagram is basically an Entity Relationship diagram constructed using Principal Entity, Structure Entity and Intersecting Entity elements. The relationships between them are defined by the business rules. Cluster Reports and Process Maps are deliverables of a valid Data Map diagram analysis. The 'Data Map Analysis' dialog displays. Click on the checkbox against each deliverable required. 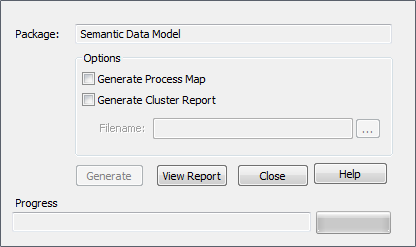 If you have selected 'Generate Cluster Report', also enter the file pathname under which to save the report.